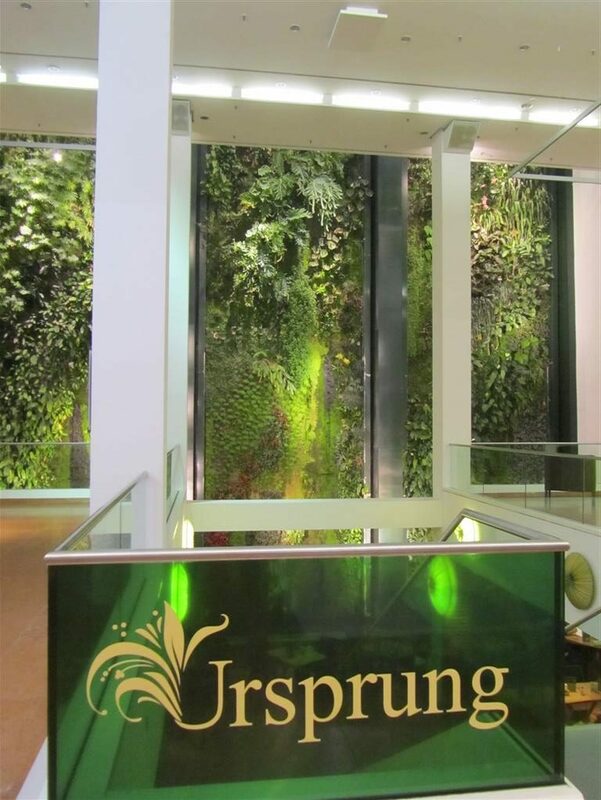 Ursprung is hidden away on the lower level of the Dussmann das KulturKaufhaus bookshop. 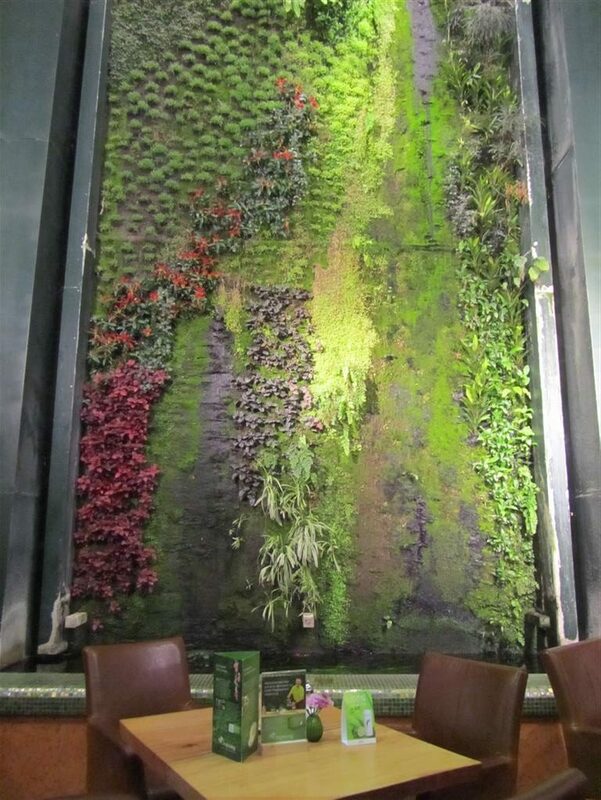 It has a beautiful vertical garden with a fish pond. 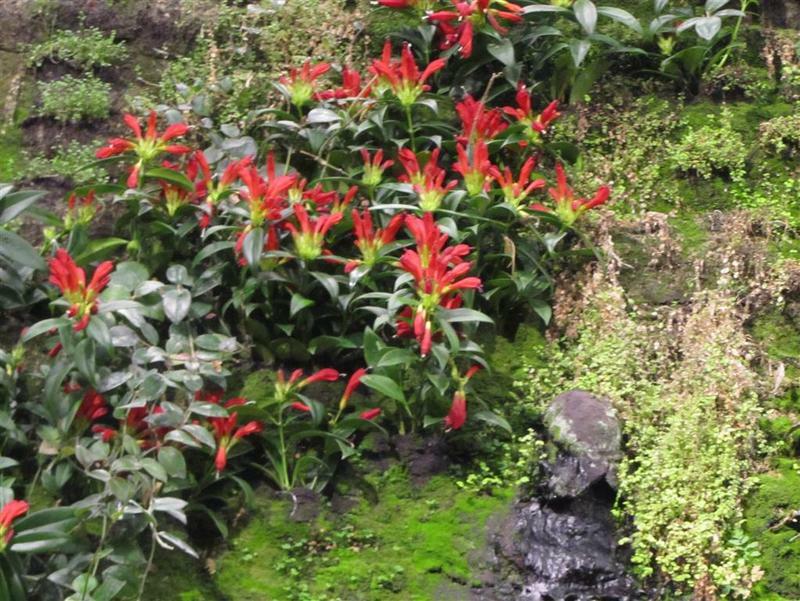 There is a serenity to this place with the greenery. 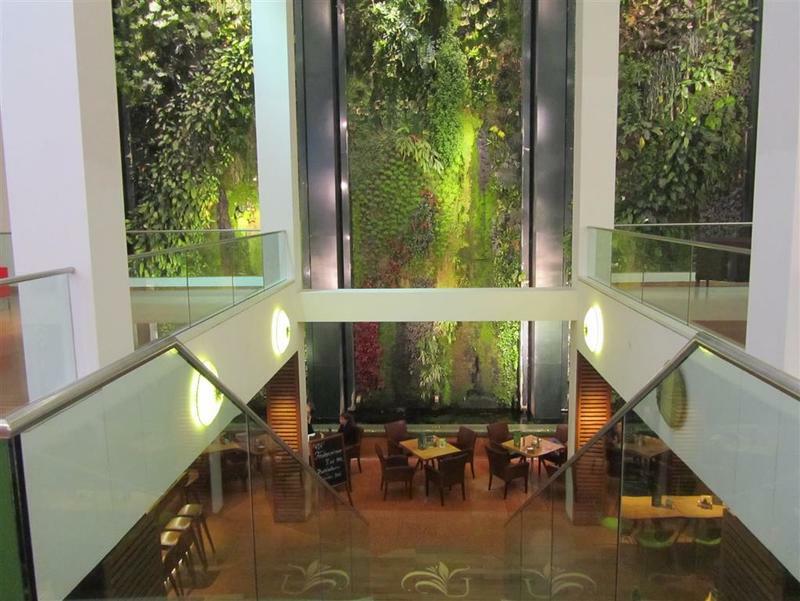 Ursprung feels like a haven; a world away from the busy street above. On this particular evening, there was a pianist playing live music and it was also shown on a TV screen. He had a full audience enjoying his music and the question and answer session that followed. 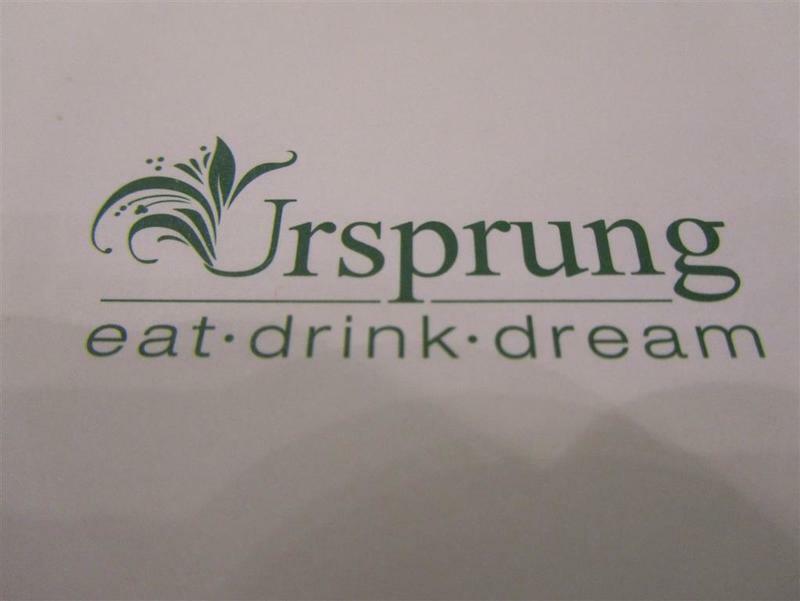 Ursprung’s motto is “Eat, drink, dream”. The polenta with ratatouille dish was bigger than expected. 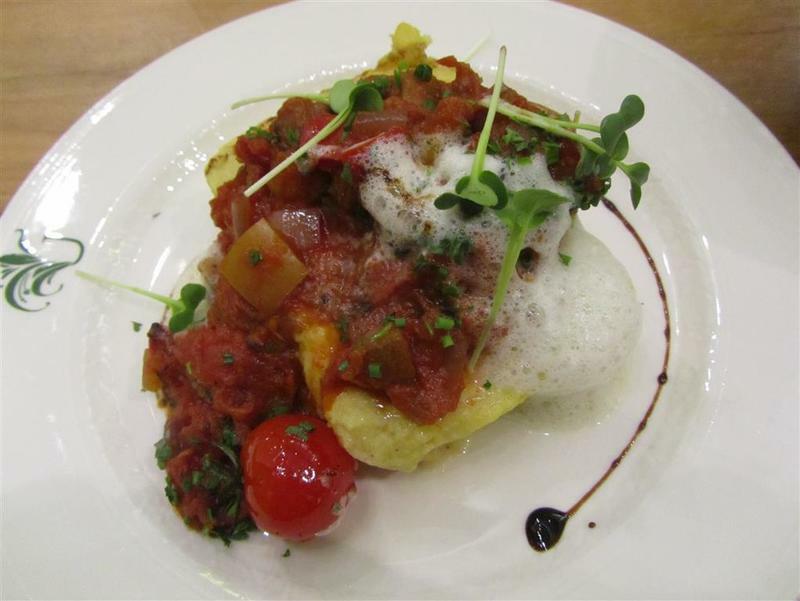 Creamy polenta, tasty ratatouille and a foam made this dish very tasty. 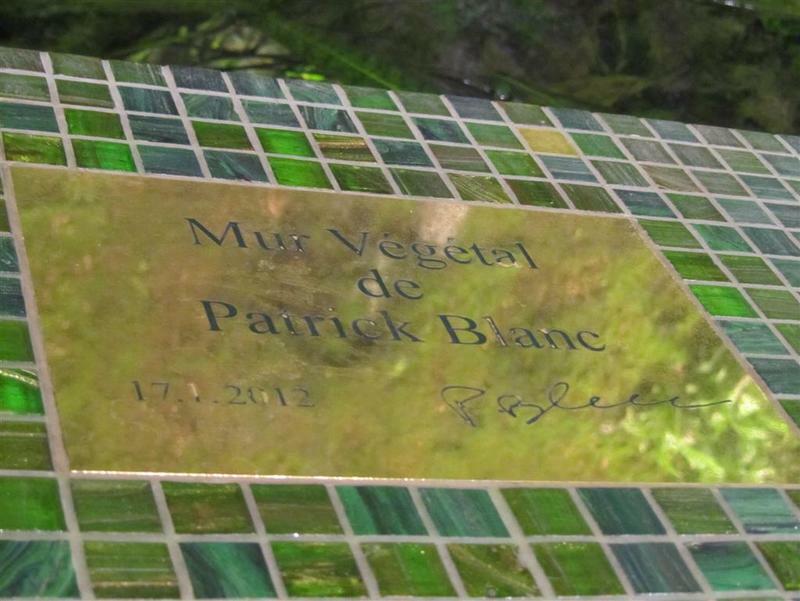 The ratatouille was made of chopped aubergine, peppers, onions and tomatoes. The dish was vegan so it was nice that the creaminess of the polenta was not due to lots of cheese or butter. No hot drinks could be made as the machine would be too loud while the pianist was playing. 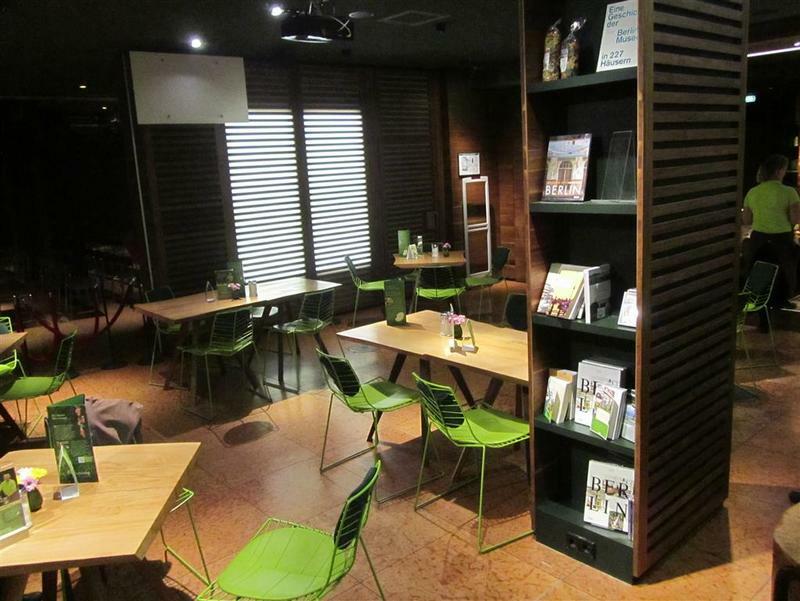 Cute lime green chairs made into the shapes of leaves with their framework went together with the wooden tables. There was also some cosy chairs and sofas. 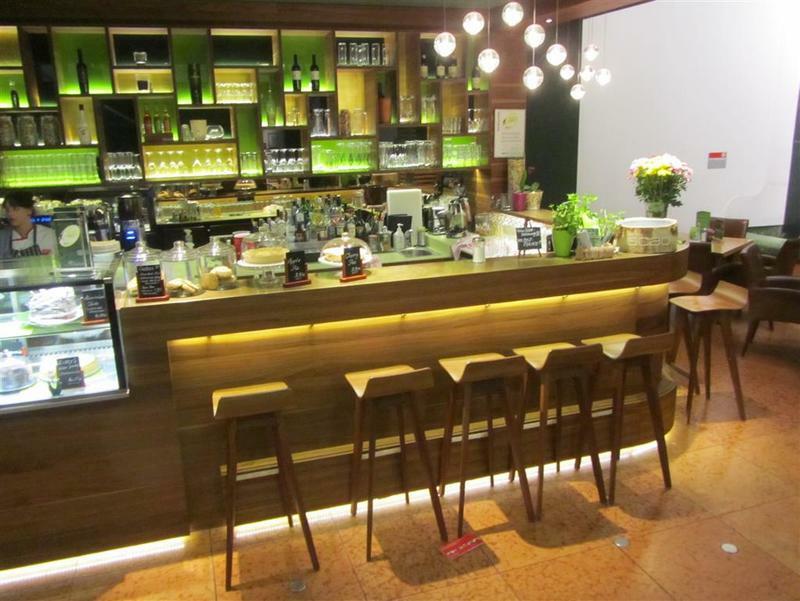 The staff were friendly and service was good. 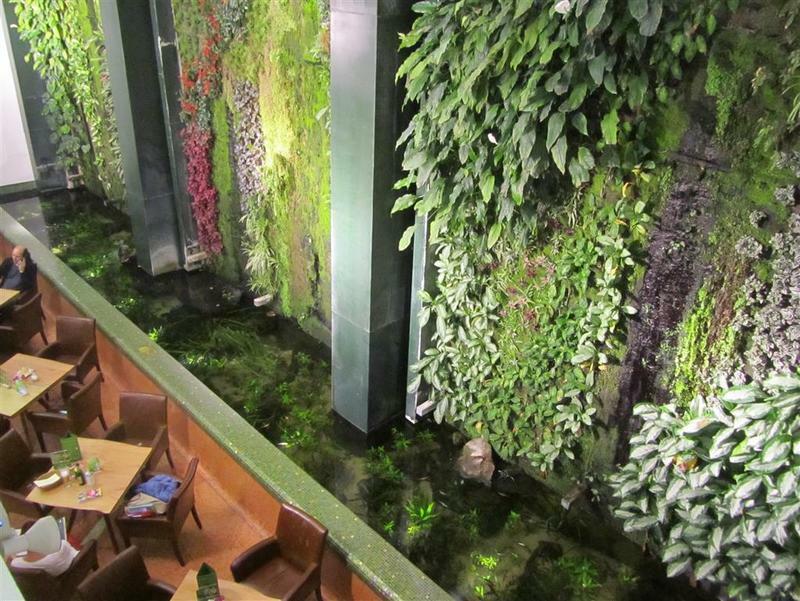 They let you just be to relax and enjoy the food and atmosphere. 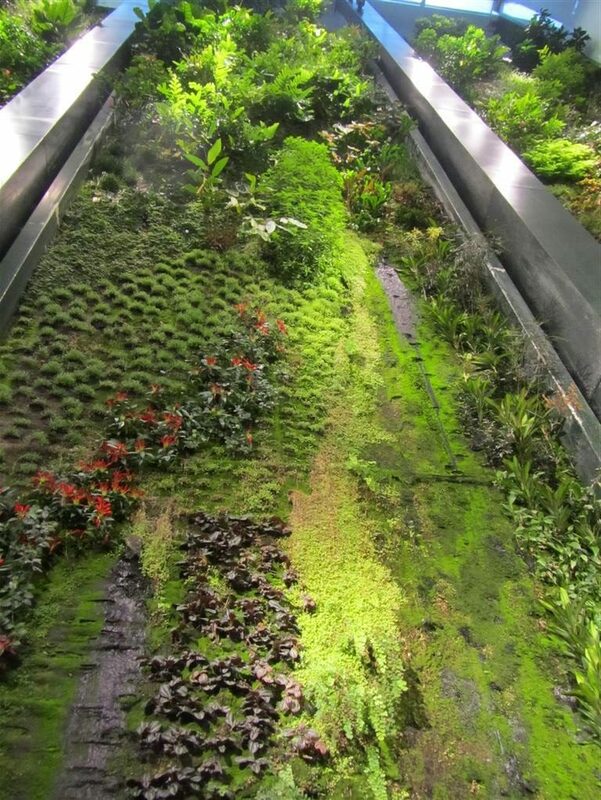 The artist Patrick Blanc created the 270 square meter plant wall with more than 6000 tropical blooms making it the world’s largest vertical garden in a building. 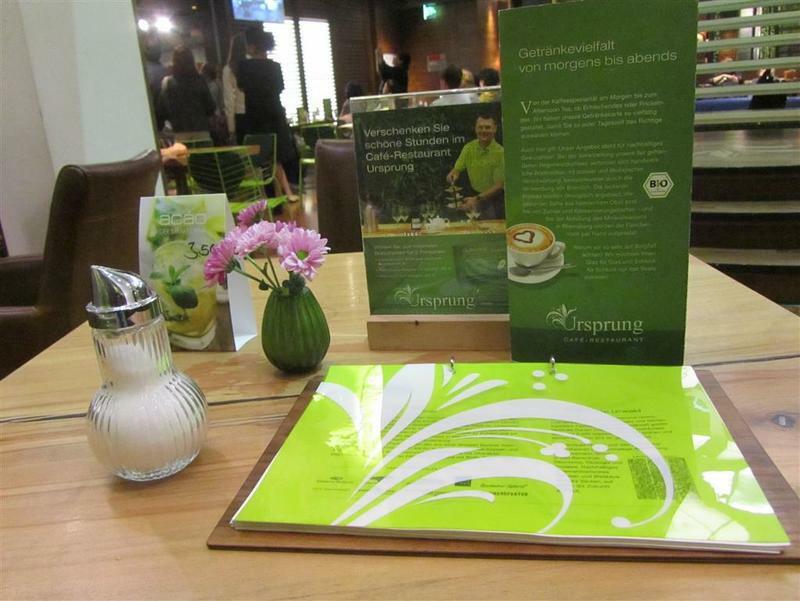 It was lovely to dine in such beautiful surroundings of Ursprung with the fresh plants and nature.